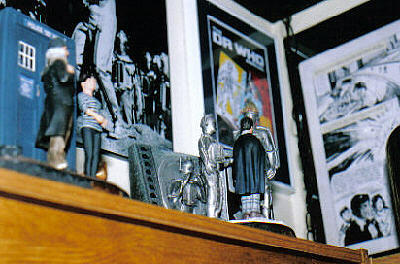 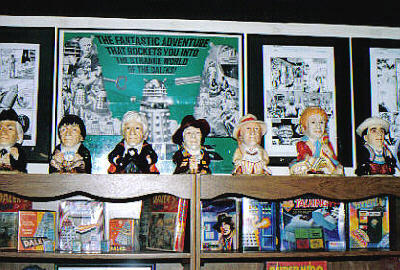 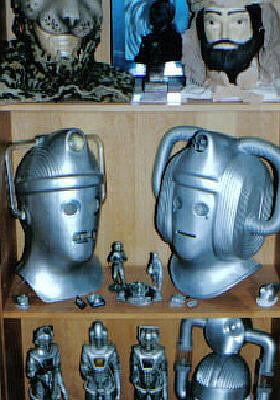 Mike has been collecting Dr Who Items since 1979 and in that time has assembled one of the best privately owned merchandise collections you could hope to see. 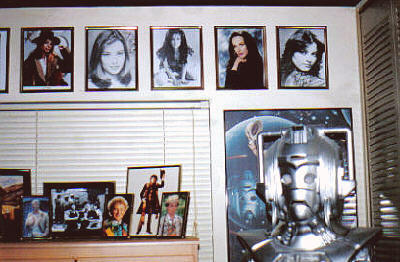 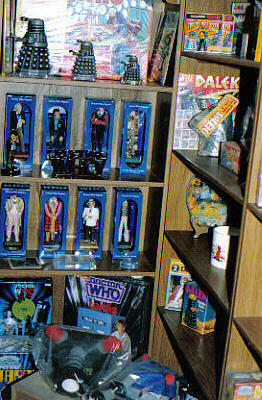 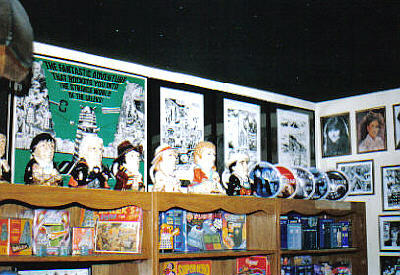 Living outside Chicago Illinois in the USA his beautiful displays comprise some of the most sought after items in Who fandom. 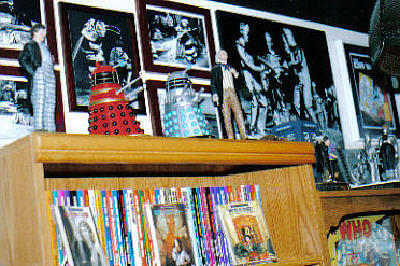 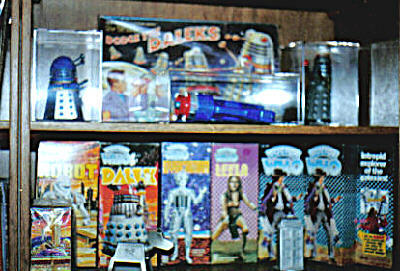 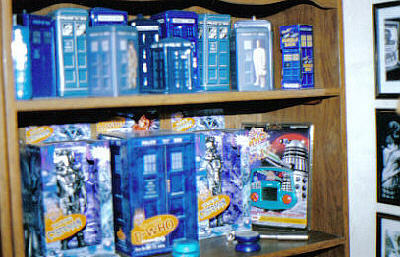 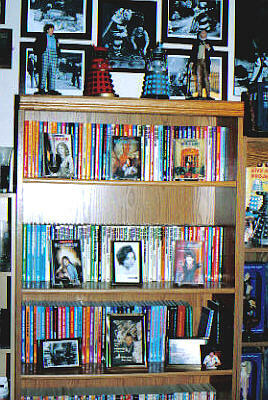 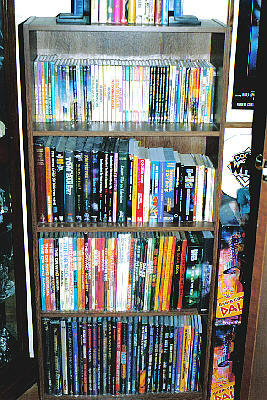 Mike had been watching Dr Who for a few years on his local PBS station but it was his Mother and Sister's Christmas gift of the American Dr Who Novels (Pinnacle) that started his collection. 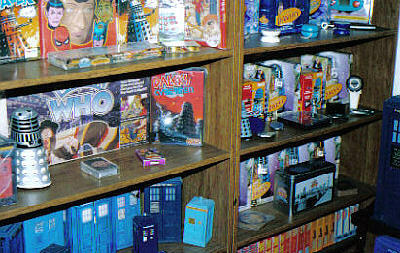 Living near Chicago, the hot bed of Dr Who in the 80's and 90's, he attend many of the conventions and specialty shops gathering the odd cup mug, t-shirt, yo-yo, tote bag and Frisbee. 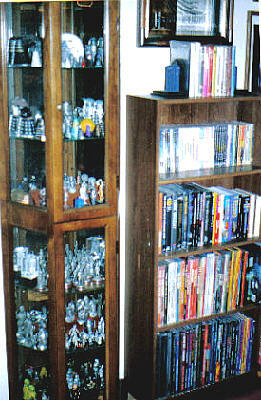 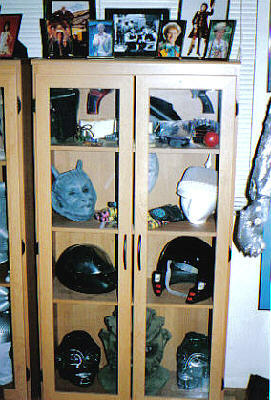 In the late 1990's Mike got a computer and it changed his collecting forever. 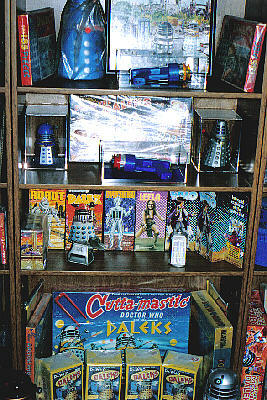 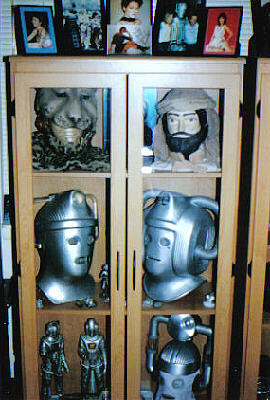 Now more interested in collecting rare Dr Who toys, Props and Costumes Mike has acquired several unique and original items of Dr Who history. 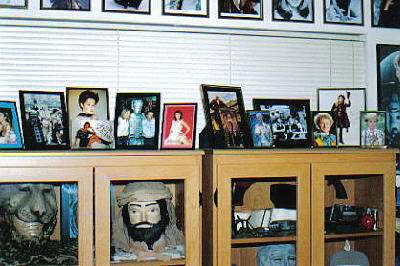 All of the pictures on this page are the property of Mike Patocka and may not be used or reproduced in any way without his explicit written consent.